and i kept a daily journal. note: back when i figured out that i was lactose intolerant i fully believed that i would never eat cheese again, it was like a slow death i was really sad. then i learned that the harder the cheese, the least amount of lactose in it. then i decided to try my hand at making cheese, vegan and lactose free. 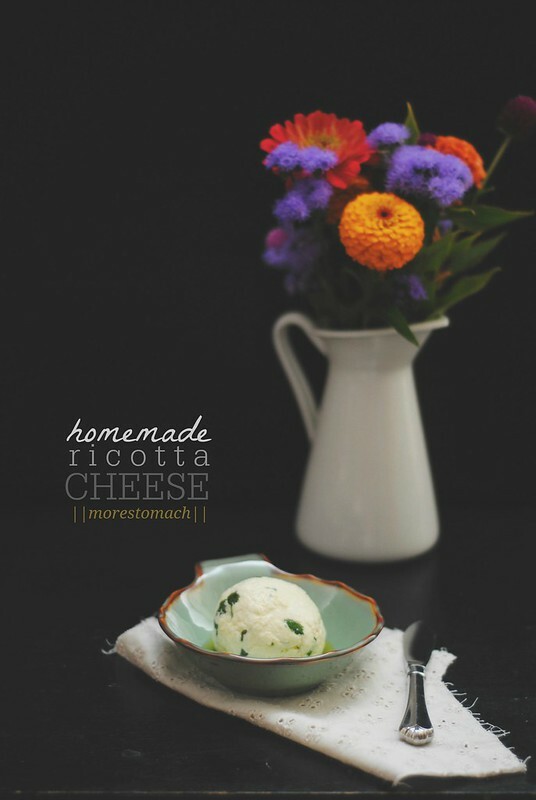 i’ve made ricotta before, i just had to look for lactose free stuff. and now, ricotta’s back in my life. happiness again. heat up milk and half/half in pot, on medium heat, to a gentle simmer. remove from heat. add in salt and stir with lemon juice. curds will rise to the top, add the chopped parsley, stir and then give it a few minutes. you can separate the curds from the whey (the separated liquid) with a cheese cloth and colander. (the leftover whey can be used to make soup, though i’ve never done that before). i use a big spice bag to drain the cheese, hang it over the sink. drain for anywhere from 30 minutes to overnight. just keep in mind that the longer you drain it, the dryer the ricotta will be. i drain it for about an hour, carefully dump it out of the spice bag, shape into a ball. a good tip: coat hands with olive oil to shape. drizzle with olive oil to keep from drying. i roasted up some delicata squash, along with the seeds. simmered down honey + miso (1:1 ratio) + a splash of water til it reached jam consistency. sliced figs, cukes, tomato, whatever you have in your pantry. the combination is only limited to your imagination. you are speaking my language! putting pen to paper is something that is dying and it’s sad and yet, here we are, typing away! Hi Lan, I used to keep a journal as well, forgot all about that. 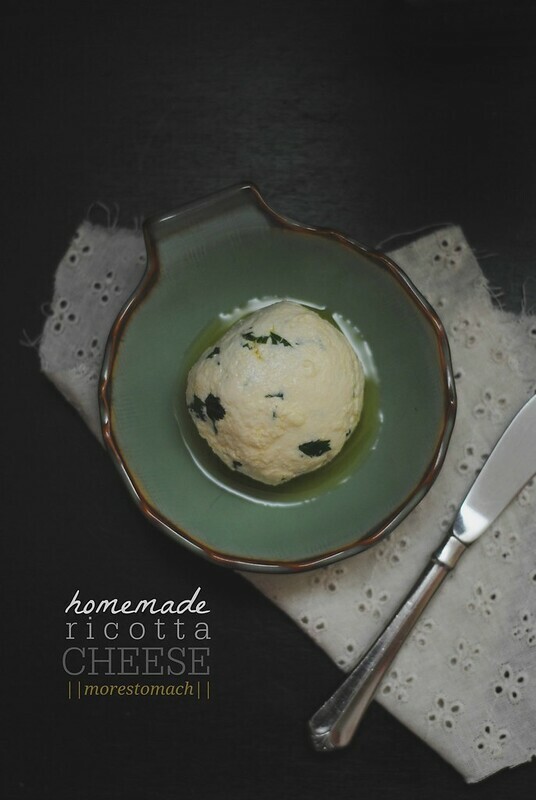 This ricotta cheese looks delicious, love that you added parsley. I used to have a penpal! Those were the days! I am glad you found a way to make cheese for yourself. I would be lost if I was lactose intolerant and/or gluten! PENPAL! me too! i had a few growing up and then, the internet exploded and well. sophie – i still think about that honey-miso glaze. it was the most perfect pairing with the slightly bland cheese. i can’t believe you burned your journals! one of my sisters did throw one of my journals into the toilet, she got mad at me for something. i was so angry that day, but now i just laugh because the drivel i wrote back then, the toilet was definitely where that journal needed to go! I came across these two lovely faux leather journals with Moroccan geometric designs at the store the other day. I haven’t written in my own journal for almost I decade? But they were just sooo pretty; I didn’t want to pass them up. So, I decided, I would use them to write down all the cute, clever things the niece and nephew say or do. Maybe add a few pictures. Let my sister or brother add to them if they want. And I’d give them to the kids when they graduate high school. No more teen angst or broken hearts to record. So, I don’t miss writing the daily journal entry, but I do miss writing while I’m traveling. I do think there’s a bit more deliberation in jotting pen to paper. Also, yay! I’m glad you’re able to enjoy cheese again! i have a soft spot for pretty books and notebooks too! and your idea to jot down cute sayings of your niece and nephew is wonderful. nice pictures! 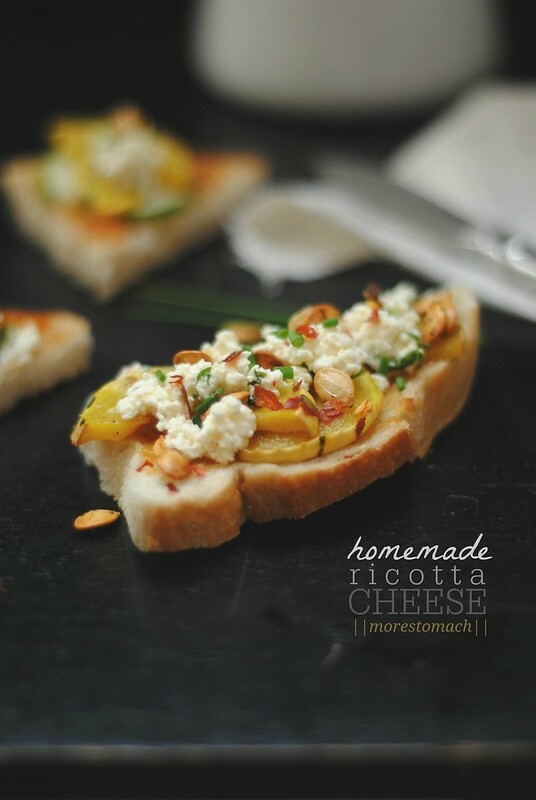 the ricotta cheese looks delicious. I just made your recipe for Lactose-free ricotta to make lasagna for Christmas. It is absolutely delicious! 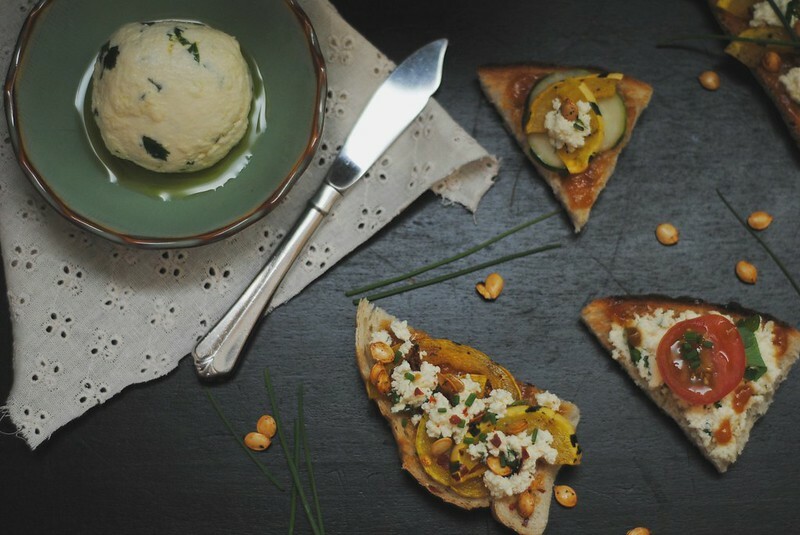 It’s just as good as any store-bought ricotta I have ever had. I wasn’t sure how much it would yield so I made a double batch, which came to just shy of a full 2 pound ricotta container. It was so good I made another batch immediately. 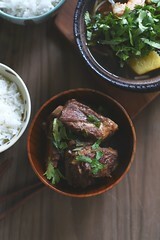 So tasty and so easy and so much FUN! I’m going to try it with regular milk for us.